Hi and welcome to my first Community Update of 2011! To get things kicked off, I want to welcome all our new members since my last post, and to wish you well during your stay at ChessCube. We’ve had a big past few months, launching Warzone Chess™ Tournaments, introducing our 2nd currency – ChessCube Crowns, and watching our users play 31,633,344 rated games in 2010. We’re absolutely sure that this number will easily be doubled in 2011. As much as we’ve been updating our product with great new features, we’ve also been squashing out bugs and enhancing current functionality – ensuring we deliver the best possible chess playing experience to our users. On the subject of the Community, we now have 1.3 million members with 145 Moderators across our 60+ live chat rooms. Should you be interested in joining the Moderator team, have a look at this forum post. We’re always looking for helpful and friendly users who are willing to join as Moderators – users who are passionate about ChessCube and its community as a whole. We’re also looking to expand our room list – so if your country currently does not have a room on ChessCube, read this post on how to secure your country room on our forum and on our live site. We also want to welcome KingsCrusher and his faithful YouTube followers to ChessCube, who are likely to be found discussing chess theory and current real world events in “KingsCrusher Cafe”, a new ChessCube chat room run by KingsCrusher himself! The biggest announcement I would like to make in this post is about our new forum! That’s right, we’ve been hacking away and building a whole new, super awesome forum, just for you! Please drop by and introduce yourself. You’re welcome to read and post chess related messages, or chat in your own language with users in your own country via the country forums! We hope you enjoy using our new forum as much as we’ve had building it! We still have many more add-ons coming to the Forum – and remember, you can always send in your suggestions on what you features you would like to see both on ChessCube.com and our new Forum by emailing [email protected] or by sending feedback from within the Cube. So Cubers – for the year ahead, there are 2 words I would like you all to remember: Think Big! We’ve got some very fun and interesting projects lined up, including the much anticipated ChessCube Version 6, due out later this year. Remember, for all the latest news and product updates regarding ChessCube, be sure to join our 1800+ followers on Twitter, as well as our 30,000+ Fans on Facebook and our LinkedIn group! I hope you enjoy our new forum and all other updates, and until the my next Community update – take care! As the London Chess Classic prepares to get underway, there is a growing interest in Chess in the UK. 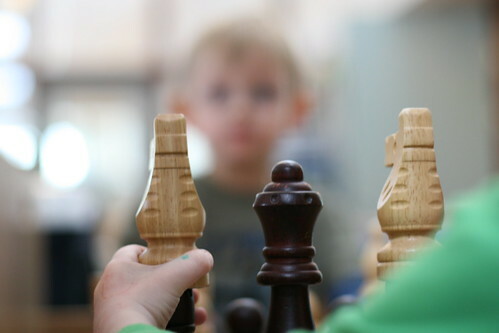 A recent article in the Telegraph (read it here: London Chess Classic: the chess set come to Britain – it’s worth it) comments on the stirrings of a growing popularity of chess clubs at schools around the UK, and renewed interest in chess in the UK in general. This seems almost like a description of ChessCube itself, with popular short games taking place between players from around the world, complete with frequent spectators and energetic comment from the ChessCube community. Chess may be a game of war, but it’s a game that pulls people together. Cape Town, South Africa – 24 November 2009. ChessCube, the popular live chess platform, launches a live chess application in Facebook. Facebook users can add the application to their profile, and play with Facebook friends, ChessCube friends or any player on ChessCube. ChessCube’s live chess application allows users to connect with even more players, and play live chess from within Facebook. With about 2,000 players online at any given time, anyone will be able to find a game at the right skill level. There are several chess playing applications on Facebook, but very few of them offer live chess. The ones that offer live chess tend to have very few players online. ChessCube offers chess players of all levels a superlative experience with about 2,000 players online and a strong chess community. ChessCube also allows games to be played between all players, no matter whether they are using the Facebook application, or the website. The ChessCube chess application may be found in Facebook’s app directory, or logged-in Facebook users can go to http://apps.facebook.com/chesscube/. Existing ChessCube members can link their Facebook profile to their ChessCube profile, while new members can register with ChessCube. ChessCube expects that this new application will add to their considerable user growth. In July 2009, ChessCube and CHESSA announced the first FIDE rated online matches. These were matches were played in the 2009 SA Open between players based in Melbourne, Australia and players based in Cape Town, South Africa. GM Amon Simutowe won the tournament. ChessCube has recently released a report on the event for FIDE. The report summarises the key challenges and lessons from this chess world first, with the aim of encouraging increased online participation in chess tournaments. FIDE’s support for this venture, and in particular in rating these matches, demonstrates exciting possibilities in the world of chess. This report and the player agreement are available for download. Click on the following links to download pdf versions of the report and player agreement. ChessCube SA Open 2009 Report (pdf). ChessCube SA Open 2009 Player Agreement for online matches (pdf). First, my profound apologies for the mispelling of Radjabov’s name in last week’s blog. Note to self - haste makes waste. 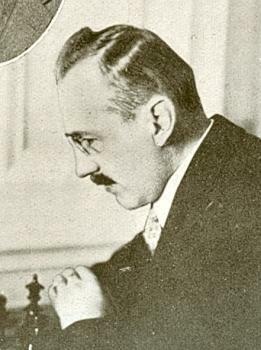 On October 2, 1941, the Czech player and grandmaster Karel Treybal was shot in occupied Czechoslovakia as a suspected subversive for illegally stockpiling weapons. Considered one of the great Czech players from the turn of the century, he was executed by German occupation forces. In the game below, Treybal defeats the reknowned grandmaster and raconteur Saviely Tartakower from the black side of a Scotch Game. The Carlsen vs Radjabov game bears a strong resemblance to a French Defence structure Kopec anti-Sicilian System. My friend and colleague Lefu Ntho has been scoring heavily with this system which is unfamiliar and very disconcerting to most Sicilian players. Luckily, help is at hand in the form of IM Danny Kopec’s discussion of the system (which can be found in ChessCube’s Shop). I ran the recent Carlsen victory through Deep Rybka 3 (64 bit) and here is the analysis.